We see the basis of good business in functional, durable and attractive flooring. With a fast and secure production, we help clients put their premises into use as soon as possible. Today, Linotol is Scandinavia’s leading provider when it comes to flooring contracts.We offer development and production of new floors as well as repair and maintenance of existing ones. The company’s service centre is based in Norrköping. 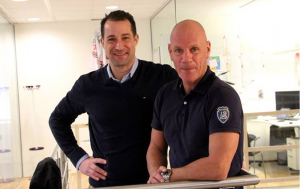 From here, we manage a group employing around 145 members of staff with a yearly turnover of approximately SEK 400 million. Our clients range from construction companies to property owners, architects and building consultants. For some customers we serve as a business partner and sounding board; for others, we are simply contractors. Regardless of the support you need, our wide range of solutions and extensive experience in the field guarantee that we will only recommend and produce floors that are fit for purpose. Our complete range of solutions is one of the company’s greatest strengths. With this, we can arrange all stages of floor production under one roof – from its very foundations to a wide variety of finished surface layers. Our large, efficient and well-equipped selection of machinery also helps to ensure that quality and efficiency are central to our work. 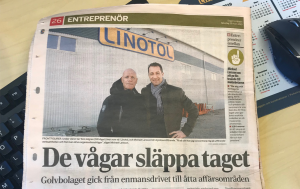 Linotol is an affiliate of Sveriges Byggindustrier, The Swedish Construction Federation, which means that we adhere to all ethical regulations set within the Swedish construction sector. 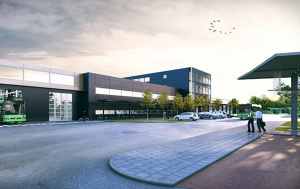 The company is certified according to Povel, Sveriges Byggindustrier’s management system for quality, environment and working environment. We are also constantly striving to improve our own skills and develop and refine our services. Povel complies with the quality, environmental and occupational health and safety requirements specified in ISO 9001, ISO 14001 and ISO 45001.